Southampton features in the top 20 across 26 subject areas of the 2019 Complete University Guide. 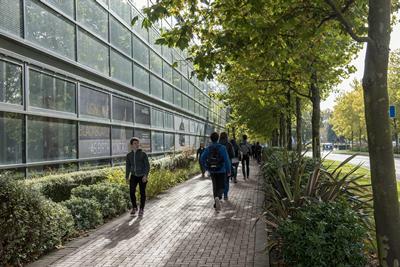 The University of Southampton has risen six places to 20th overall in the 2019 Complete University Guide which was published online today. The University has now featured in the top 10 for Aeronautical & Manufacturing, Civil, and Electrical & Electronic Engineering every year since the Guide was first published in 2008. Southampton makes the top 20 in a further 17 subject areas: Anthropology (13), Archaeology (12), Art & Design (19), Classics & Ancient History (14), French (14), Geography & Environmental Science (20), Geology (11), German (14), History (20), Iberian Languages (19), Marketing (16), Mathematics (12), Music (12), Nursing (14), Philosophy (17), Physics & Astronomy (19) and Social Policy (16). In Communication and Media Studies, Southampton rose 15 places this year to reach 9th and in Mathematical Sciences, the University climbed from 23rd to 12th. The Complete University Guide bases its rankings on several criteria including entry standards, student satisfaction, research excellence and intensity, graduate prospects, student-staff ratio, university spending on services and facilities, graduates receiving a first or upper second class honours degree, and degree completion. Click here to see Southampton’s profile on the 2019 Complete University Guide’s website.